Interview with David Loundy, vice-chairman and head of religion- based financing at Devon Bank. Devon is a Jewish community bank in Chicago, offering Islamic finance. My comments: It is interesting to see David’s answer to the first question on how Devon, a Jewish community bank, got into Islamic finance: due to demand from the community. This shows that while a top-down demand approach is popular, grassroot-level demand that is effectively and appropriately communicated is often equally productive. Western Muslim communities should follow the example of the Chicago Muslim community and press their local banks to start offering Islamic financing options. QUESTION: How did a Jewish-owned family bank, Devon, in Chicago, get involved in Islamic finance? Answer: Although many of our shareholders are Jewish, we are a community bank. We were created by a community to serve the needs of that community. That community is in constant flux. Once, it was predominantly Jewish. It is a “new immigrant community”. People move in, get established, bring family from the old country, and then move on. Our headquarters is supposedly in the most ethnically diverse neighborhood in the Americas. Indian, Pakistani, African, Eastern European, some Arab. This includes a large Muslim population. They asked us for help. We helped. This is part of our mission-serve members of our community in the ways they need to be served. Our Islamic finance programme derives from a customer who wanted to open a bookstore. They asked if we could help, but without riba. At the time, we said no, and the group found financing from the United Bank of Kuwait (UBK). When UBK was acquired, it sent away all of its US customers. The customer came back and asked for help again. At that point, the head of our International Department convinced management that there was an unmet need. The bank started looking into options. As word got out, the demand exploded showing there really was a need, and we were in a good position to help. We had done non-interest-based financing before for the observant Jews, but the strong Muslim demand for such products surprised us. Q: What have been the challenges internally, community and with the regulators? A: Internally, our biggest challenge has been to line up needed liquidity. We turn away a million dollars of businesses a day. Some of this we are looking to manage with two prospective sukuk issuances. We would like to put in place a larger permanent solution, but it requires raising quite a bit of funding in a bad market. Our second internal challenge is resource allocation. All bank functions must run well, conventional and Islamic. We are striving to triple our mortgage volume (conventional and Islamic) in the next 18 months, but that requires an investment in staff, technology, and processes to handle higher volume. The community is not homogenous. 2010 was the bank’s 65th anniversary. We are generally known and respected in the community. People with prejudices do not respect that we are trying to serve the WHOLE community. I laugh at those that think that any entity providing Islamic finance has to, by definition, be donating to terrorist groups. A local synagogue soup kitchen or the Salvation Army are acceptable recipients for any donations. The worst prejudice comes from competitors who publicly inquire as to how a non-Muslim institution can be an acceptable source of Islamic products. Answer: Because our products are better. Some in the community see our Islamic finance programme as a step towards peace and understanding. Our Muslim customers are just grateful that someone cares about their needs and is accommodating them. Regulators are also not a homogeneous group. Banking regulators are largely supportive-they see us as “banking the unbanked” – a good thing. After 65 years in business, our regulators know us. They know we are experienced and careful, bankers. However, I often say that “Islamic finance is easy, dealing with the secretaries of state is the bane of my existence”. The amount of detail that goes into fitting the square peg of Islamic finance into the round hole of a conventional regulatory system, which can vary in each of several thousand counties, can be extreme. Q:. The sub-prime induced credit crisis devastated the mortgage market, how were the Islamic mortgages impacted in Devon’s portfolio? Devon Bank didn’t do sub-prime mortgages. Our Islamic portfolio has been performing VERY well compared to larger averages and even our conventional portfolio. In our 7.5 years of providing Islamic product, our write-offs have amounted to less than 90 basis points on originations-mostly due to a fraud and not credit loss. We have been careful in our underwriting, but if a customer losses a job, we both have a problem. An Islamic product has restrictions on what workout options are available, but we have been able to successfully arrange several restructurings. The sub-prime mess disrupted entire markets. It negatively affected property valuations, and thus reserve requirements. It has scared investors, even in the face of great opportunities. A number of vendors are just plain gone. Things are starting to normalise a bit now, but the reverberations from the meltdown will take years to work out of the system. Q. What is the profile of your typical Islamic mortgage customer, both residential and commercial? It is fairly broad across the income spectrum. Usually first- or second-generation immigrants. Initially predominantly Indo-Pak, but now covering a much wider geographic origin. Because of our compliance level, we tend towards the more conservative end of the religious spectrum, but we get a broad range here too. We have forced industry pricing down so customers don’t feel punished for their religious observance. Our customers tend to have family networks helping with the purchase. Credit scores are a bit higher, but are often “shallow”. Down payments are often either particularly high or low-depending on whether customers were saving to buy with cash or assuming they never would be able to buy at all. On the commercial side, because we are a small bank, our size and location constraints produce some customer selection. They tend to be small business operators and investors; frequent masjid financing inquiries; an occasional inquiry from a Gulf investment bank. Q: Has the time arrived for a licensed deposit-taking Islamic bank in the US? If not, what are the challenges? We are between windows of opportunity. Devon Bank made two attempts to buy a bank to convert to Islamic. One was geographically located in a community where it would have also reached a sect of Christians that follow their religion’s prohibitions on interest as well as accommodating Jewish and Muslim prohibitions. US$6-US$9 million (US$1 = RM3.06) would have bought either institution. We could have cleansed the balance sheet and had the bank operating as a “proof of concept” pending further regulatory discussions. Our regulators were willing to see us try and make it happen in the beginning. We did not, however, have investor support. A new charter is practically impossible to create, and largely un-economic to buy. When the right opportunity comes along, you have days in which to strike and consummate a deal. It takes a special investor who can work that fast on something novel. Now, the regulators are too busy with failing and flailing banks to put the resources into figuring out how to handle an Islamic bank. They know it WILL happen, but they don’t even know what questions to ask. It will happen, but it will be easier in a few years than it will be today. The more interesting question is about customer demand. A subset of people will only deal with an “Islamic” bank, either out of prejudice or out of concerns over the “purity” of money coming from a conventional bank. While we do not respect the first view, the second is one of religious conviction that we must acknowledge. There are solutions to this concern besides the creation of an Islamic bank. An end-to-end syariah-compliant bank would need to start small and demonstrate market demand. I believe there is sufficient demand for such an institution, but most plans are from people who don’t understand the US banking market and how it is regulated. Q: What kind of interest and inquiries have you received from a Gulf or Malaysia-based institution in Devon Bank and its Islamic portfolio? All of our businesses and funding so far have been from “onshore” sources. To date, we have not had good contacts in Malaysia. They just don’t know us-it has simply been a mismatch of networks. We have had more visits and potential businesses from Indonesians. We have had a number of contacts from Gulf entities, and I have taken several trips to the UAE, but they have been frustrating. To some, we are a novelty (Oh look! An American doing Islamic finance! Isn’t that cute!). Others see our potential, but we have been the wrong thing at the wrong time. It is a frustration when you schedule a due diligence trip only to have the next eruption in the financial meltdown scare investors and kill discussions; or you read in the news about your potential partner defaulting on a few billion dollars worth of its debt during your discussions. Others are so fixated on winning the biggest prize that they don’t look at the merits of the race – for example, they are more interested in buying a trophy property rather than smaller more profitable ones. The right people with the right vision WILL line up with the right time. We believe we have a compelling story and Grand Plans capable of execution – just bad timing. When those in the Gulf and in Malaysia are ready for us, we are ready for them. Our performance speaks louder than our “wasta”. In the mean time, we are not waiting – we have added capital to the bank and are adding more. We expect our business will continue growing. Q: If you had to start all over for Islamic mortgages, what would you do differently? I would have been more aggressive about developing infrastructure faster – vendors, staff, technology, business partners, etc. We started our programme slowly to make sure everything worked as it should and that our regulators didn’t see problems we were missing. However, it meant that resources weren’t lined up when needed. The global credit crisis put an awful lot of plans on hold for a lot of people, and it prevented us from moving more quickly to the next stage. If we had shifted our entire timeline nine months earlier, we could have been functionally several years ahead of where we are now. Q: What could the state of Islamic finance in the US be in 2020? There will be an Islamic bank. A major US provider would have been long gone (five minor players pulled out of the market in the last two years). There will be a larger menu of investment options that many will not even know are syariah-compliant. There will be “crossover” products that are syariah-based and valued for their performance characteristics, not because they fit a moral code, though they will not be widely used. 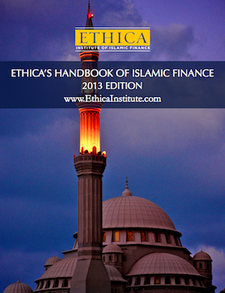 Many Islamic finance projects will continue to be done quietly in the background. The scope of product offerings will increase as providers stop trying to fit square pegs into round holes as much and develop legitimate de novo alternatives. The Bigot Brigade will still be warning that Islamic finance is the road to Armageddon – without doing any more fact-checking than they have done today. The market will go from under-served to adequately served, though “adequately served” will not mean (fortunately) what people might have wanted it to mean three years ago.